Cutting and plotting for flexible materials of garment, shoes & cap, bag, home textile, furniture, home furnishing, car, vessel and aviation industries. 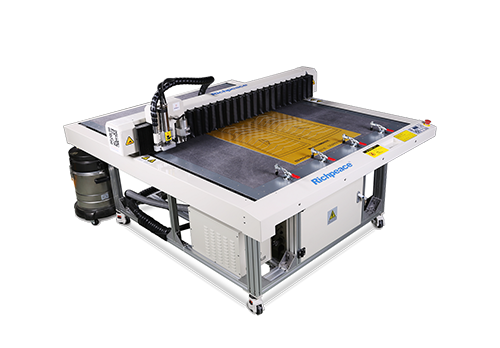 Richpeace Multiple Material Automatic Cutting Machine : it is equipped with 3 kinds of knife, round knife, vibration knife, and straight knife. 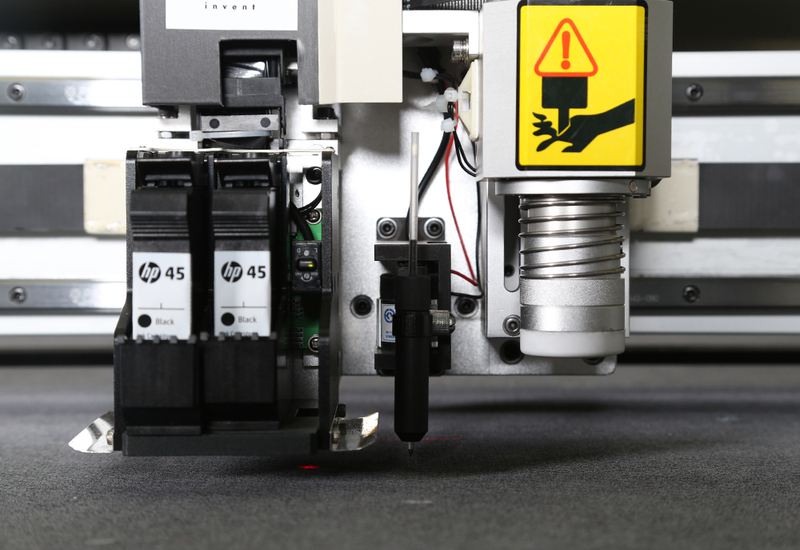 At the same time, the machine can both ink painting and pen drawing. 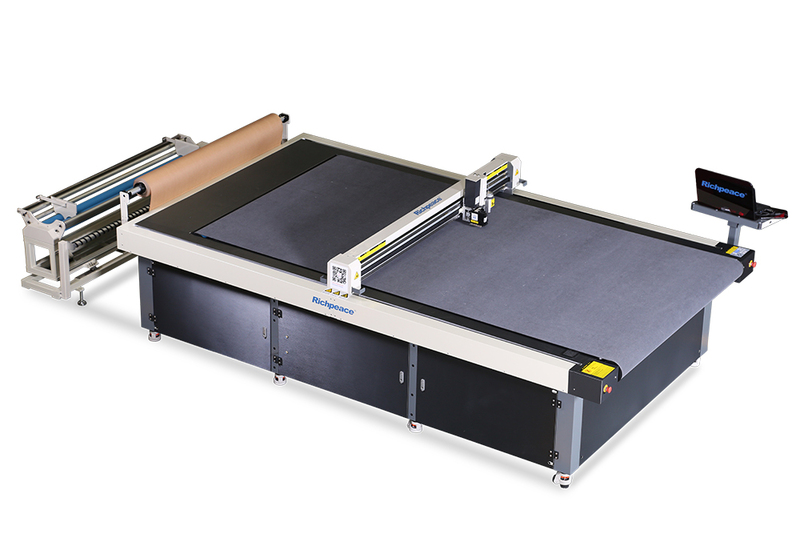 It is suitable for advanced customization and cutting and drawing marking of single or multi-layer fabrics. 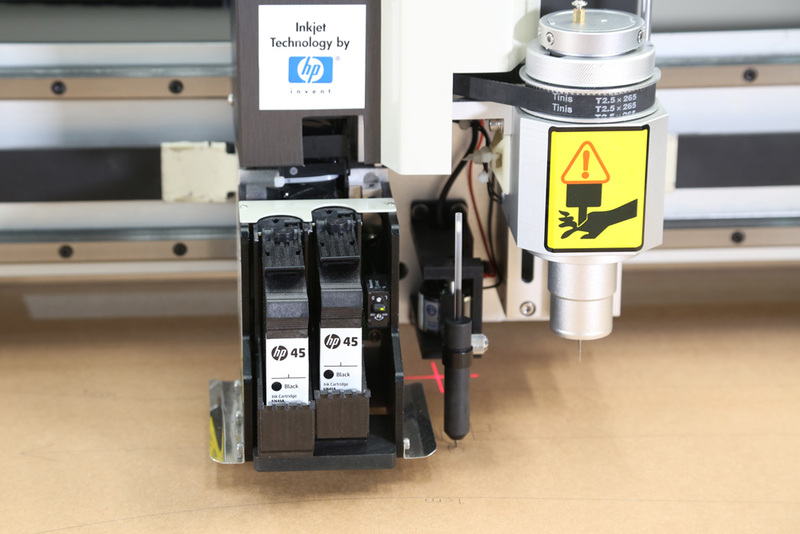 The whole machine is equipped the fully servo control system, the mechanical and control precision is ±0.02 mm. The precision is effected by the elasticity and shrinkage of different fabrics. Cutting speed of 1 m/s. Optional: vibrating knife and straight knife. (1) Round knife: suitable for cutting single layer soft and thin fabric, such as non-woven fabric, wool, knitted fabric, woven fabric, jean, adhesive lining, etc. Round knife is used for non-woven fabric, knitted fabric, etc. And it is less pollution. 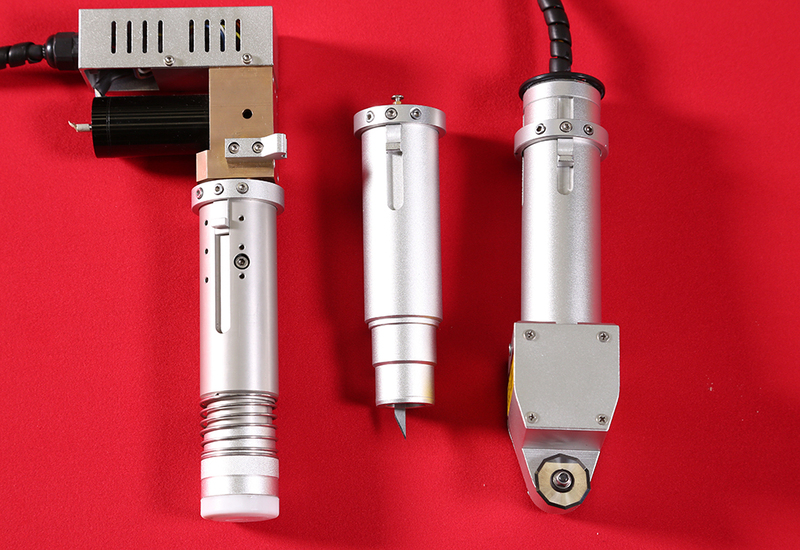 (2) vibration cutter: suitable for cutting multi-layer fabric or single layer of thicker material. The thickness should be less than or equal to 8mm after adsorption. 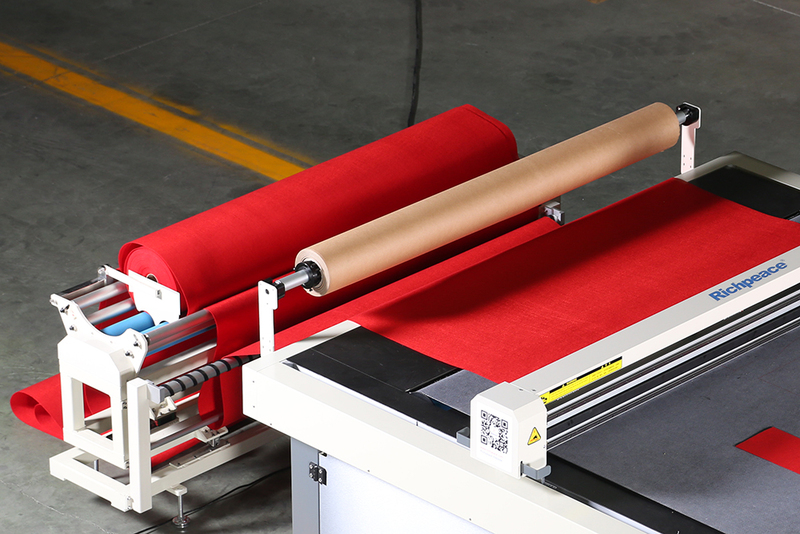 For example, non-woven fabrics, leather, felt, rubber, packaging hard paper, etc., not applicable to the drawing cloth. (3) Straight knife: suitable for cutting paper, the thickness of paper sample is less than or equal to 4mm, and the normal paper sample is 3mm and 4mm. The cutting precision is ± 0.02 mm. (1) Cutting knife: the service life of the round knife is 1 month, the vibration knife is less than 1 month, and the straight knife is 2 weeks. Depending on the different cutting material, the service life will be different. (2) the cutter size is relatively small, so it doesn’t sharpening device, and the blade should be replaced after using. (3) No perforation paper, multi-layer cutting or spongy expansibility materials need to be adsorbed. (4) Imported breathable and cut conveyor belts: imported materials, which are used for about 1-2 years.